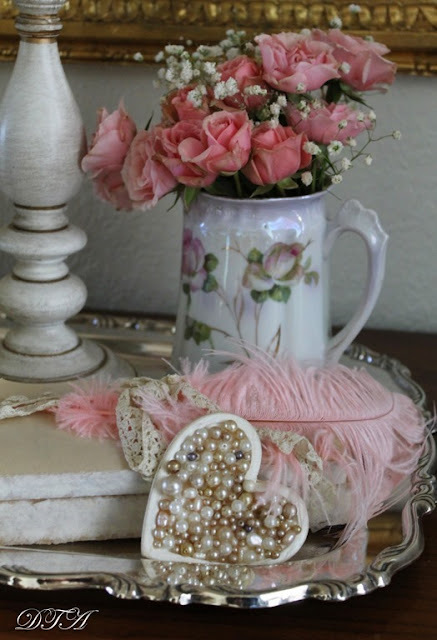 Decor to Adore shared her adorable little vignette with DIY Pretty Pearl Hearts Simply elegant! 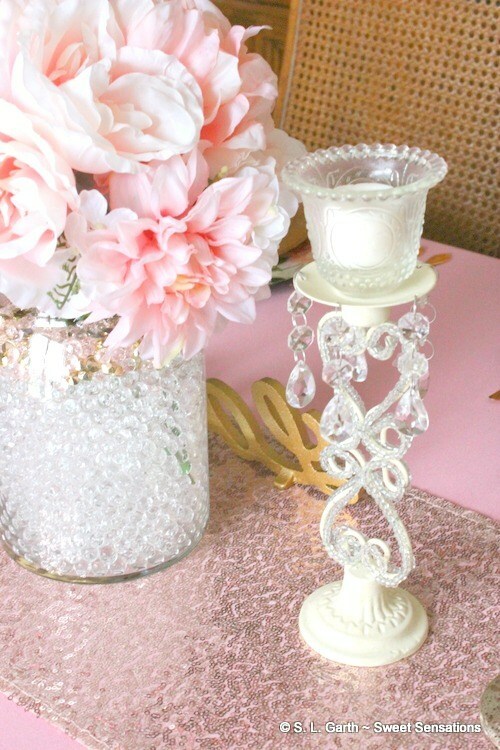 Sweet Sensations' Rose Quartz and Gold Elegant Tablescape is right up my ally for the perfect table too. Butterflies and Baubles' adorable Hanging Succulent Heart Baking Pan really stepped out of the box with her heart arrangement. 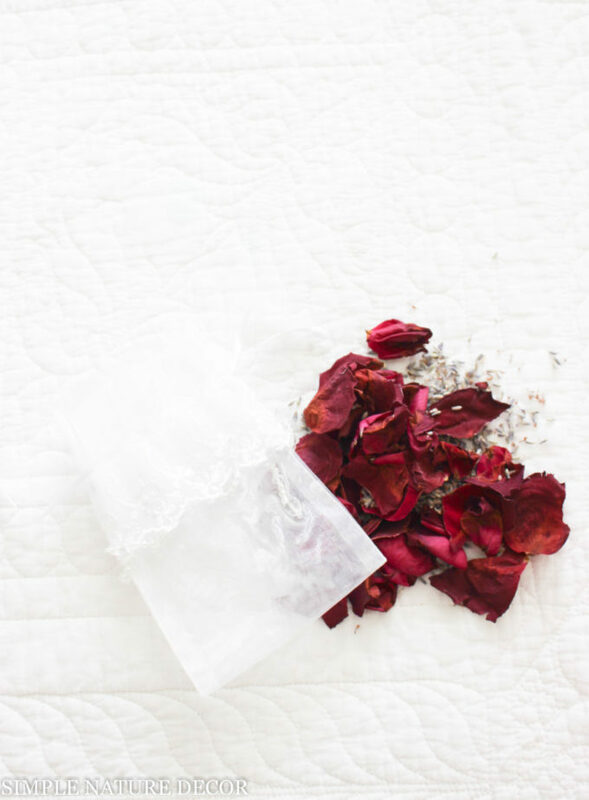 Who wouldn't want a little Rose and Lavender Potpourri Recipe to spruce up their bedroom drawers or chests?! 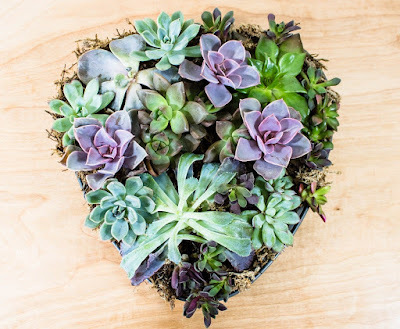 Simple Nature Decor had a wonderful idea here! 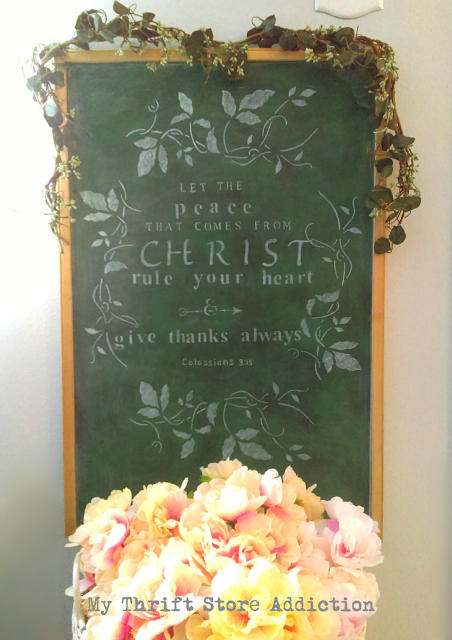 And, last, but surely NOT least, My Thrift Store Addiction shared her beautiful How To Stencil a Chalkboard with Scripture that I just adore! 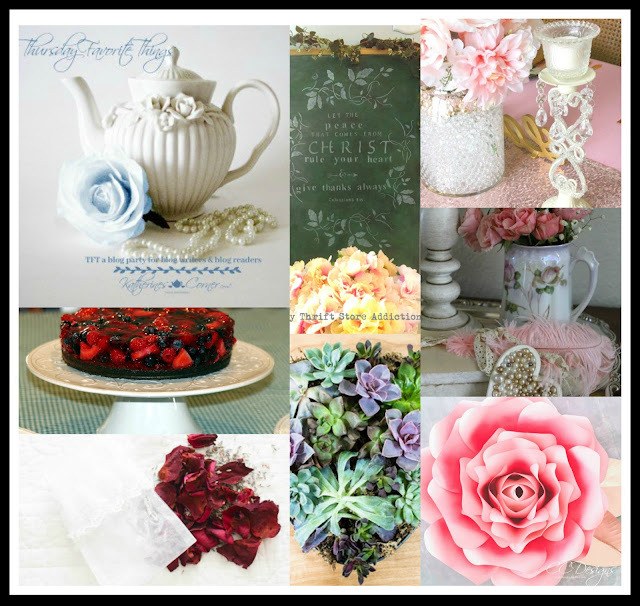 If you are looking to grow your blog, make new friends, and be inspired each week, this is the place to be. 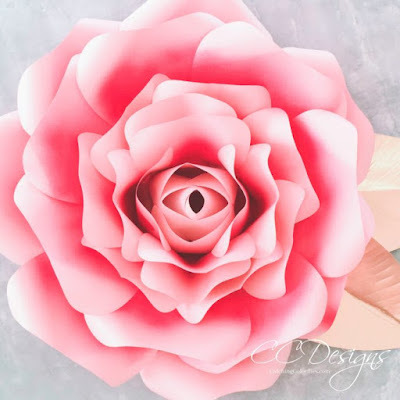 If you would like a chance to be featured, please leave me a comment with the number of your link up. I am looking forward to seeing what you have to share this week! Thank you so much for everything, Katherine. I'm so excited to be on this journey with you!! Thank you so much, I wish the same for you. I'm so glad you were able to join us!! Thanks so much for hosting !! Congrats on joining the host of this wonderful party! !My link ups are #171,173 and 175. Thank you so much, Debbie! Hugs! Nancy, Thank you for joining us and the nice comment. I'll be popping over to check out your post! Thank you so much Marilyn! I'm so excited to be here. Thanks so much for all your kind comments. I'll be popping over to check out and pin all your fun Valentines posts! Welcome to TFT!!! I'm glad you are still blogging and will be with Katherine and the Ladies of TFT even if What To Do Weekends is closing down... I imagine that it can be a lot of work creating each week's party. 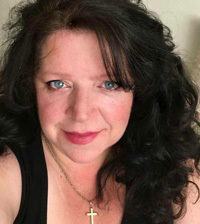 Thank you for being one of the co-hosts each week! <3 I shared #293 Bathroom Decorating Ideas On a Budget about my friend Julie's home. You have warmed my heart by featuring my pearl heart tutorial. Thank you SO much!